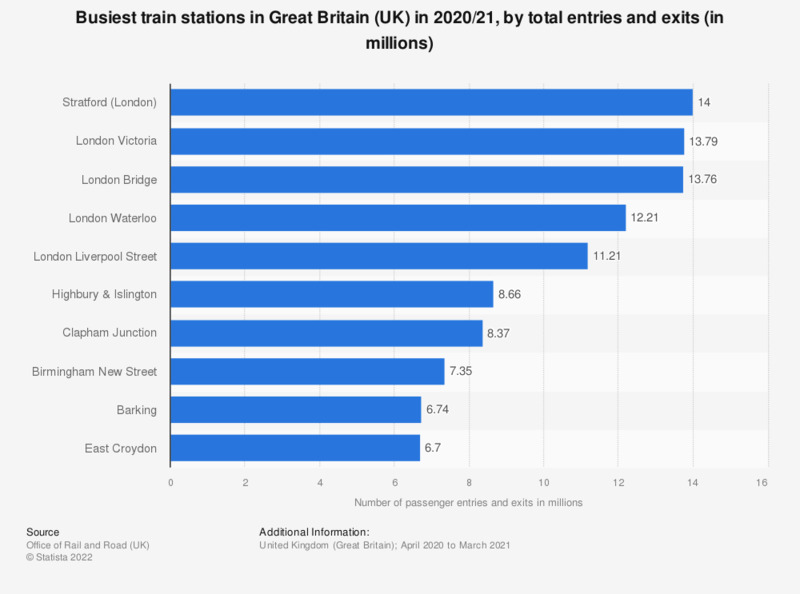 This statistic shows the busiest train stations across Great Britain (UK) in 2017/2018, according to the number of passengers passing through the station. Waterloo was the busiest station with over 94 million people entering and exiting that station in the year. Victoria station came second with almost 75 million people entering and exiting. Everything On "Rail services in the United Kingdom" in One Document: Edited and Divided into Handy Chapters. Including Detailed References. Statistics on "Passenger rail travel in the United Kingdom (UK)"